Skye Biologics is focused on developing and manufacturing leading biologic technology to improve patients’ biologic response and support improved outcomes. Traditionally, surgical procedures have used biologically passive approaches to repair injured tissues by removing, re-attaching or stabilizing damaged, severed, fractured or problematic tissues with sutures, stabilization or fixation devices. Common post-op complications and challenges are due to variables beyond their control, including the severity of the injury, co-morbidities, patient biology, compliance and other factors, and the body is unable to heal properly to its original state. Until recently, active biologics to support proper remodeling and improved outcomes have not been available. Our technology is designed to provide physicians with the richest and most viable biologic potential in easy to apply products, to protect or augment damaged connective tissues and assist in supporting the best possible biologic response post repair. The ExtraCellular Matrix creates the foundation of the human body's various tissues. This complex cellular ecosystem contains all of the necessary biologic components to support the cells in proper tissue remodeling and function, including fibrous proteins for structural support and scaffolding; highly regenerative growth factors to assist in modulating inflammation, revascularization, tissue formation, remodeling; BioActive® molecules to support migration and proliferation. Injuries, degeneration, comorbidities or poor patient biology can lead to poor tissue remodeling and failed clinical outcomes. Our products now provide physicians with the ability to augment their repair with a BioActive® matrix to support a better biologic response. When the product is applied, it provides a native scaffold structure along with abundant growth factors and BioActive® molecules that may support and restore the body's remodeling ability. Without a viable ECM, injured or damaged tissues result in uncontrolled inflammation leading to disorganized tissue formation, scar tissue development, reduced mobility and elasticity, with greater risk of failure. Adding a rich BioECM® augments damaged connective tissue and may provide the body with downstream support for successful tissue remodeling, reducing the risk of complications and failure. Skye Biologics products provide an easy to use human Connective Tissue Matrix biologic, rich in connective tissue components including BioActive® Fluid, ExtraCellular Matrix (ECM) components, Collagens, Growth Factors, and BioActive® molecules. 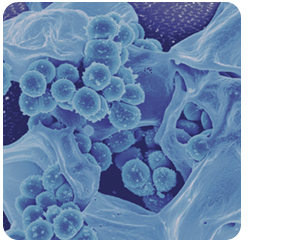 Skye Biologics connective tissue products provide a versatile native human ExtraCellular Matrix (ECM) biologic membrane, rich in integral ECM components, Collagens, Growth Factors, and BioActive® molecules. Skye flowable products are a rich biologic Connective Tissue Matrix, including BioActive® Fluid, ExtraCellular Matrix (ECM) components, Collagens, Growth Factors, and BioActive® molecules. This CTM creates the cellular environment and supports the migration, proliferation and remodeling processes. 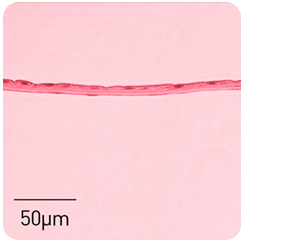 This flowable tissue matrix can be precisely applied to the areas of damaged connective tissue, and provides improved resorption and incorporation for the ideal biologic response. Skye has designed the unique BioAware® preservation system to optimize the structural tissue integrity, biologic viability, handling and performance of its membrane-based allografts. This system scientifically controls the moisture levels in both dehydrated and non-dehydrated membrane products, and carefully preserves the natural tissue structure without compromising it through traditional lyophilization (freeze drying), heat-baking, chemical cross-linking or other disadvantageous methods. Skye Biologics products have been independently validated to maximize the preservation of the rich natural biologic potential of connective tissues. HydraTek® is proven to preserve the majority of growth factors, collagens, and BioActive® molecules found in natural connective tissues. HydraTek® Process is setting a new standard for patient safety by leading the industry with proven science on our unequaled safety & quality advantages. In an industry first, HydraTek® products are proven to be immunosuppressive, meaning they have the ability modulate the inflammatory immune response, reducing the risk of graft rejection and failure. HydraTek® products are proven bacteriostatic, with the ability to stop bacteria from growing, potentially reducing the risk of infection and creating a healthier healing environment. To deliver the ultimate biologic potential, the processor must utilize the richest biologic source, effectively retain and preserve the biologic components, and provide ideal safety, handling and storage. HydraTek is a proven process that retains the biologic potential and delivers unequaled safety and quality.